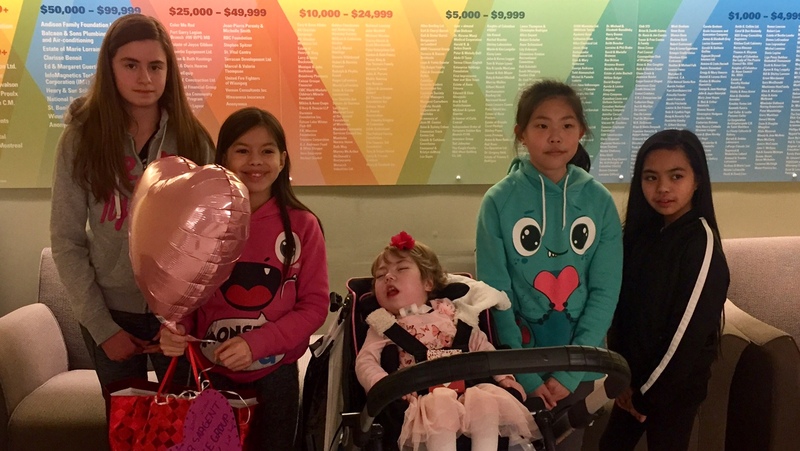 Students from Sargent Park School delivered valentines to people like Sophia (centre), a toddler with complex medical needs supported by St.Amant. 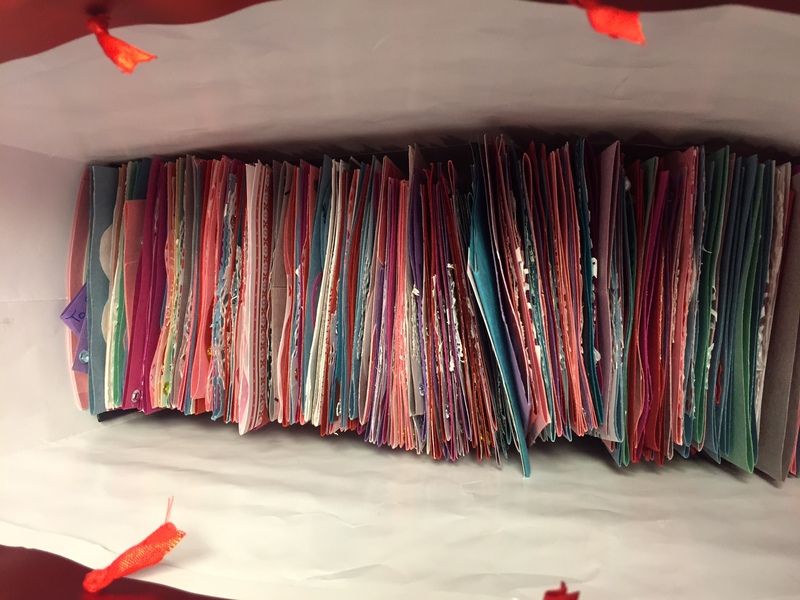 Grade 5 & 6 students from Sargent Park School’s Peace Group dropped off 200 valentine’s today to people supported by St.Amant. The Peace Group performs random acts of kindness and for Valentine’s Day decided to create valentines for people like Sophia, who has complex medical needs. These valentines will bring smiles to many people supported by St.Amant.